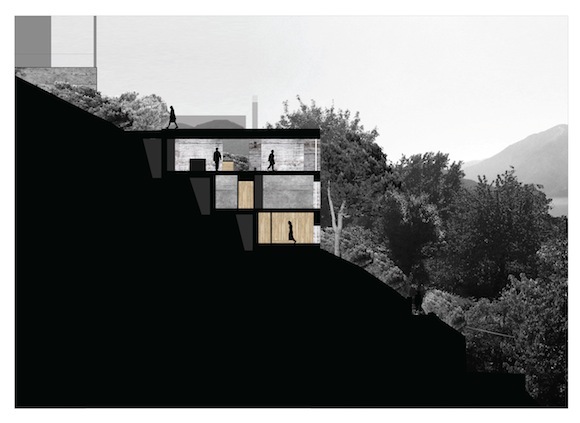 Cities Connection Project | CONCRETE HOUSE. S.ABBONDIO. 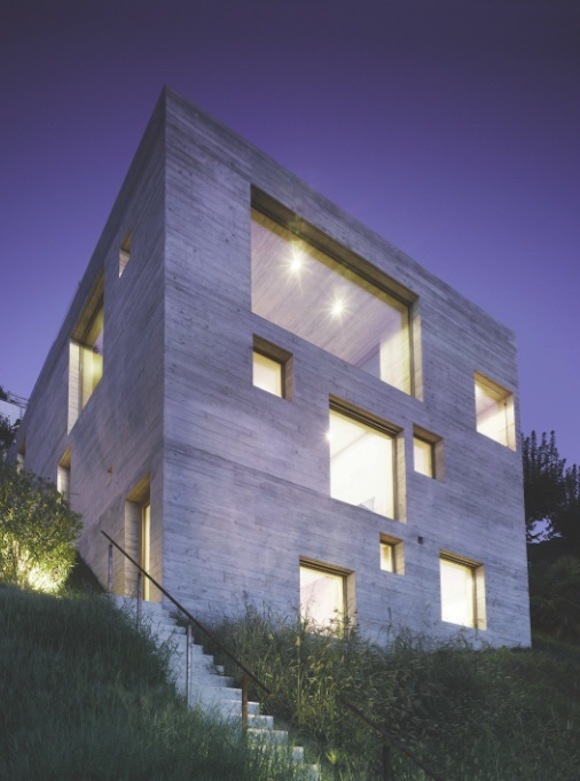 This house is standing on a steep slope in S. Abbondio, it’s designed for two people and their guests. The property adjoins on three sides to existing and new constructions, while to the downhill side it’s attached at the access road and above it provides free views to the Lake Maggiore and to the mountains. The clear easy-cut volumetry and also the naturalistic materializing of the concrete in the same colour like the natural rocks, integrates the new building with caution in the heterogeneous area. Concrete gets the natural stone of the modern era. The irregularly positioned window perforations maintain the monolith and create a sculptural unit. Spartan rooms and courtyards open up horizontally and vertically to water, forests and mountains, light and sun, they live from the poetry of nature. The limitation of a few basic materials like concrete and natural wood, generates a flowing interaction of interior and exterior and a natural archaic atmosphere.